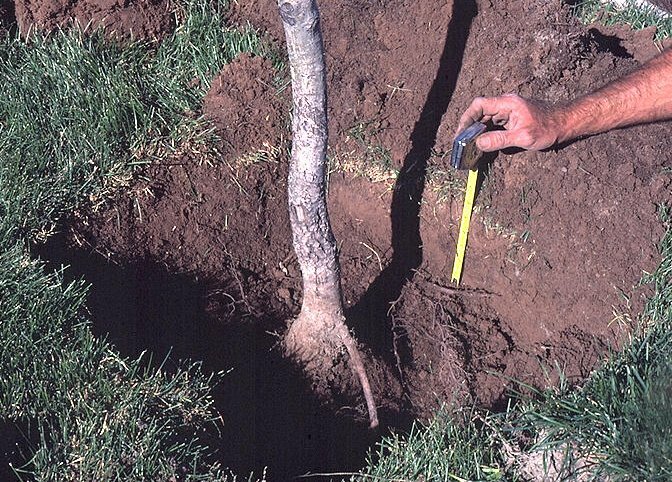 Bare root trees are trees that are dug and stored without any soil around their roots. If no hydrogel is used, soak the tree roots in water for 12-24 hrs before planting. Can all tree species be planted in this way? In theory, yes--but some species work better than others, and some commonly fail. Nina Bassuk. 2000. "Creating the urban forest: the bare root method." Ithaca, NY:Cornell University. For other information, advice and help on this topic, call offices of your State Urban Forestry Coordinator or University Extension service, or visit urban forestry web sites.